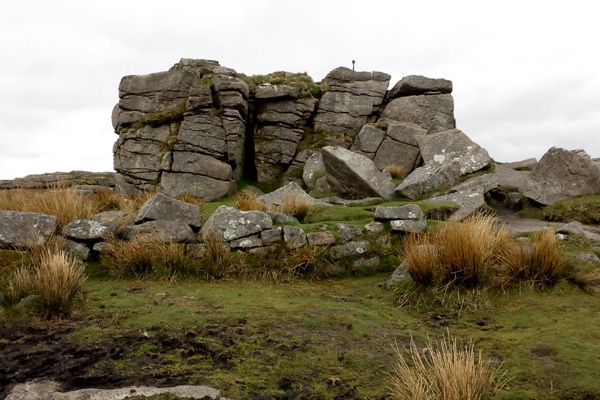 Saddle Tor – Grid ref: SX 750764 Height: 428m a.s.l. 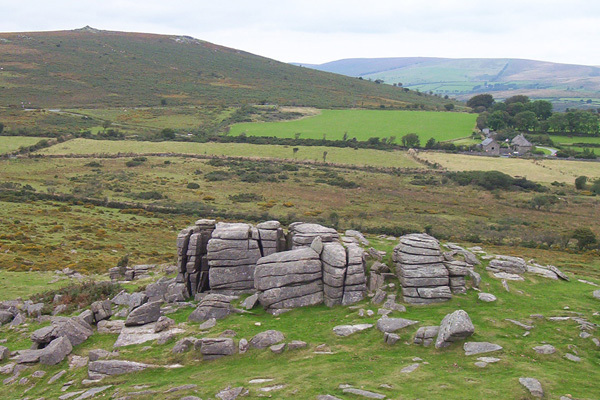 Saddle Tor exists as two rocky outcrops and two distinct ring contours on the map. 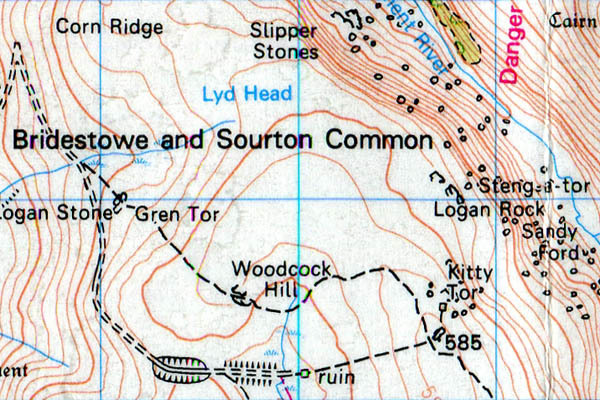 Scarey Tor – Grid ref: SX 607925 – Height 365m a.s.l. 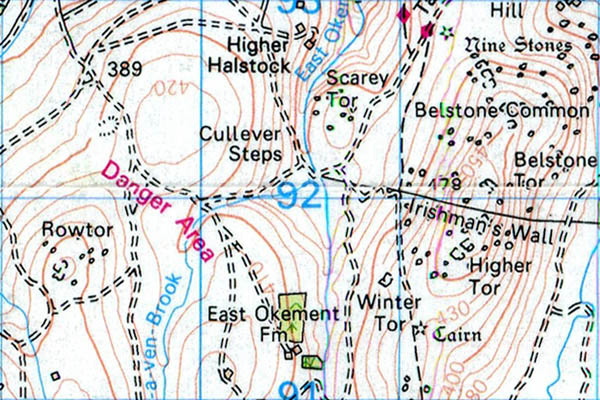 Scarey Tor is located near to the East Oakmount river. Scorhill Tor – Grid ref: SX 658871 Height: 380m a.s.l. Scorhill Tor is not a summit. 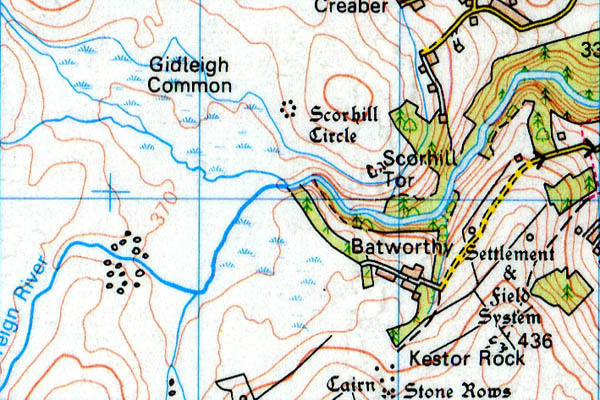 It is located on Scorhill Down. 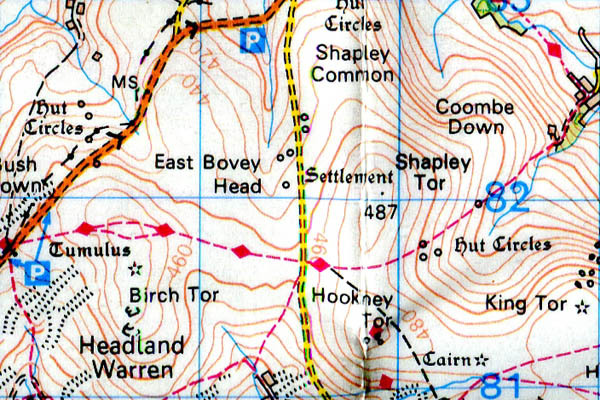 Shapley Tor – Grid ref: SX 699821 – Height 480m a.s.l. Shapley Tor are located just off the spot height. Sharp Tor (1 of 3, near Yartor Down) – Grid ref: SX 686729 Height: 380m a.s.l. 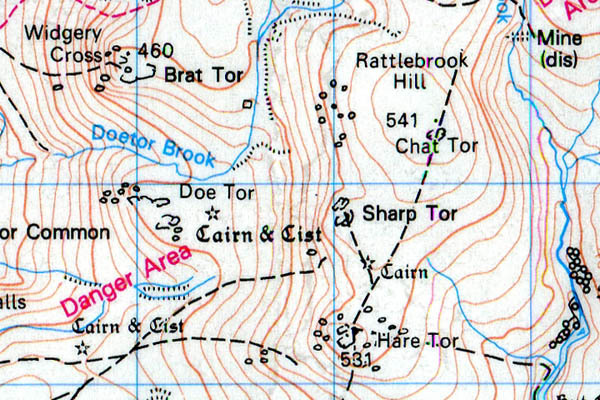 This Sharp Tor SX 686729, located east of Yartor Down and just north of Luckey Tor is a straight-forward walk-in south east from the car park SX 681732 on the B3357. Beware the bracken here in the summer. Sharp Tor provides commanding views of the wooded valley of the Dart nature Reserve which traverses the River Dart. 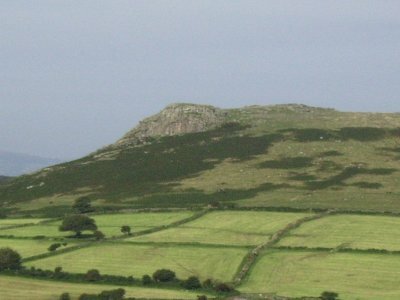 Sharp Tor (2 of 3, nr Ugborough Moor) – Grid ref: SX 649617 – Height 414m a.s.l. 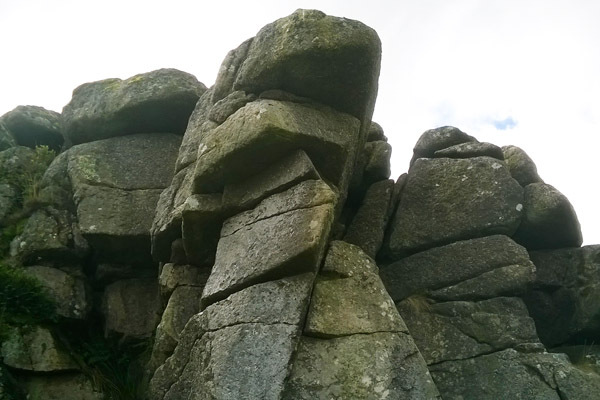 This Sharp Tor can be linked to from the Two Moors Way, 5km north of Ivybridge. The location is high on Ugborough Moor. 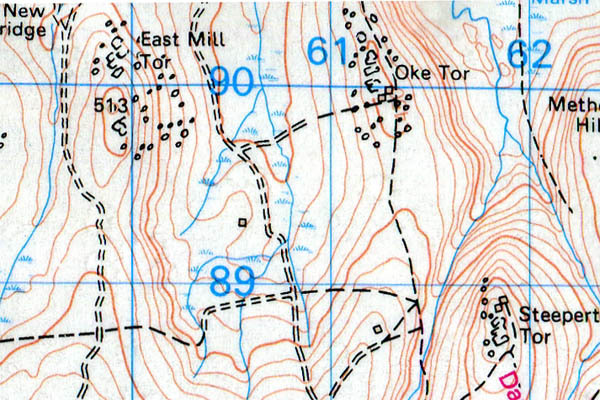 The OS grid reference taken at spot height. Sharp Tor (3 of 3, nr Rattlebrook Hill) – Grid ref: SX 550848 Height: 510m a.s.l. This Sharp Tor sits high up on Rattlebrook hill on the north moor. 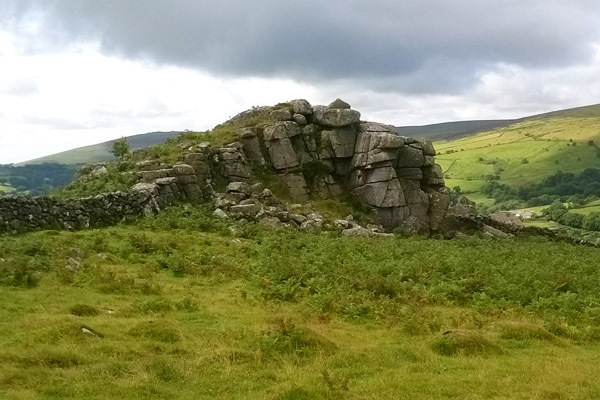 It forms part of the Chat Tor/Hare Tor ridge line and overlooks Doe Tor to the west. The granite columns are particularly regualr and square cut which provides an enchanting feel to these stones. 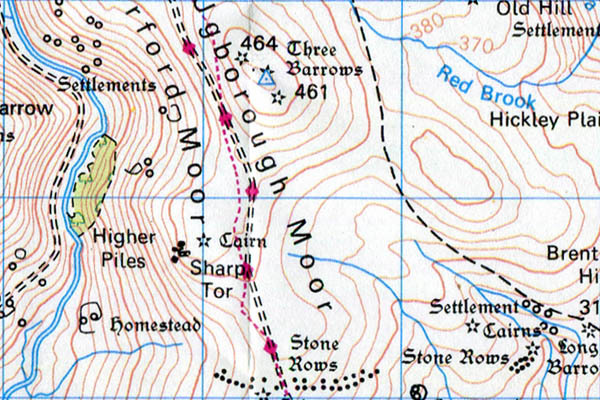 Sharpitor – Grid ref: SX 560703 Height: 410m a.s.l. The un-impressive Sharpitor helps obscure the rather special Leather Tor from the summit car parks. You will find clitter-filled uneven ground anywhere within 100 metres from the tors summit. 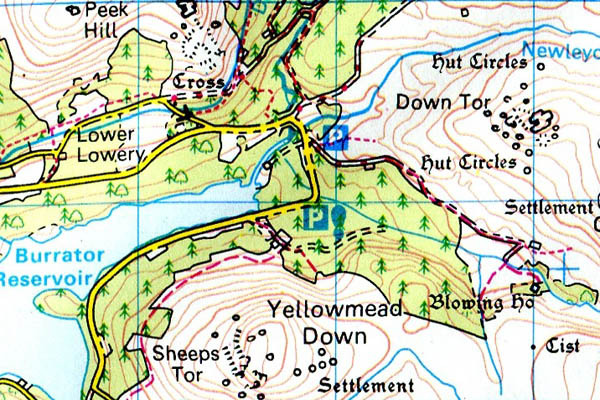 Shavercombe Tor – Grid ref: SX 594662 – Height 350m a.s.l. 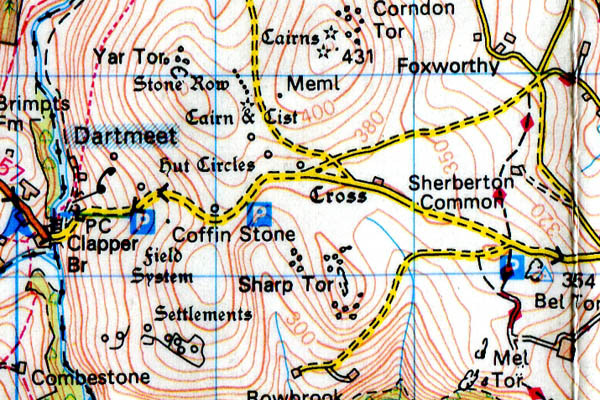 Shavercombe Tor is not a summit. Sheeps Tor – Grid ref: SX 566682 Height: 369m a.s.l. 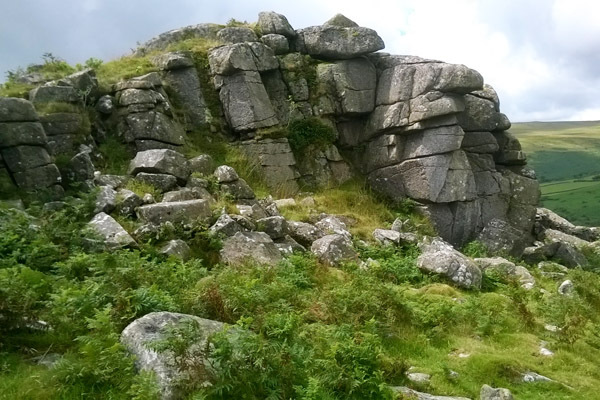 Sheeps Tor is a beautiful set of vertical pink/orange granite rocks found on Yellowmead Down. Because of its’ 40 foot crag it offers a fine (if not a bit polished) climbing venue with gradings from ‘Difficult to Extreme’. Above the crag there are is a splendid set of rocks which are easily reached from the east side of the crag. Parking is often difficult during the popular months therefore arrive early or take a longer walk in. Shelstone Tor – Grid ref: SX 557898 Height: 400m a.s.l. 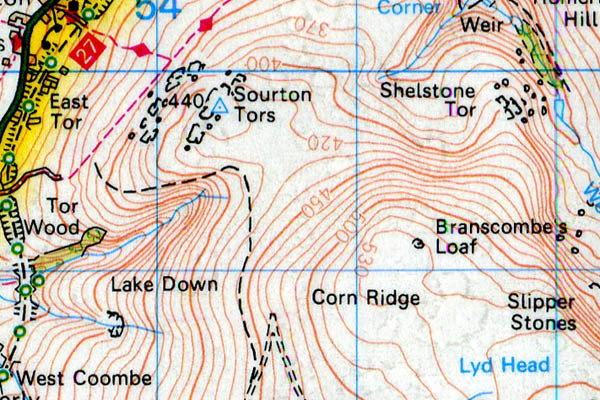 Shelstone Tor defines the steep-sided rocky-spur to the south of Meldon reservoir and west to Black Tor and Black-a-tor copse. 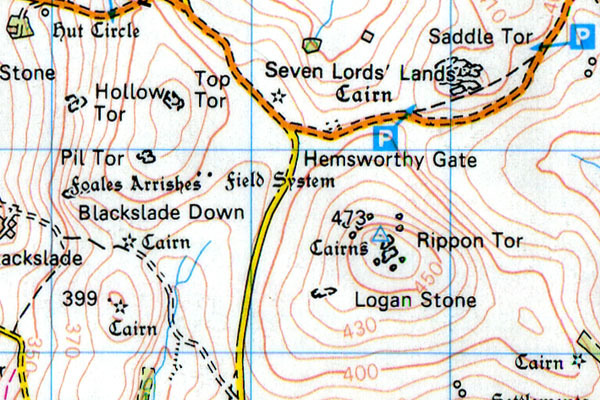 Shipley Tor – Grid ref: SX 685632 – Height 300m a.s.l. Shipley Tor, considering its close proximity to the Shipley Bridge car park, is an awkward tor to approach. It is perched high on the skyline some 700m away yet can easily absorb an hour’s walking to get to. 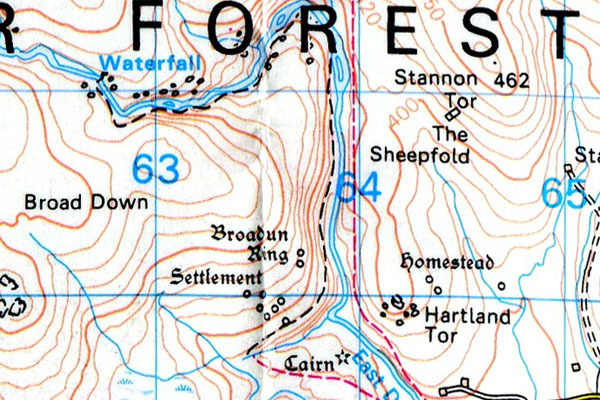 The land to the south and east of Shipley Tor is all private and the River Avon can only be easily crossed by walking a full kilometer up stream towards the dam. Even then if you attempt your approach when the bracken is in full leaf you will have an awkward and frustrating session of bracken beating to even get close to the Shipley Tor ridge line. 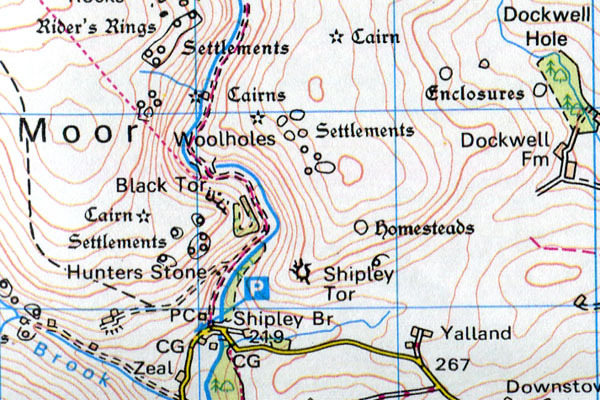 Shipley Tor, once reached is apparently sectioned off into too halves, the south side private and the north side CRoW open access land. I’m torn to advise whether this is actually true. There is clearly a stone fence through Shipley Tor and a landowner has rigged a makeshift barrier through a nearby opening in the same fence 100m east of Shipley. 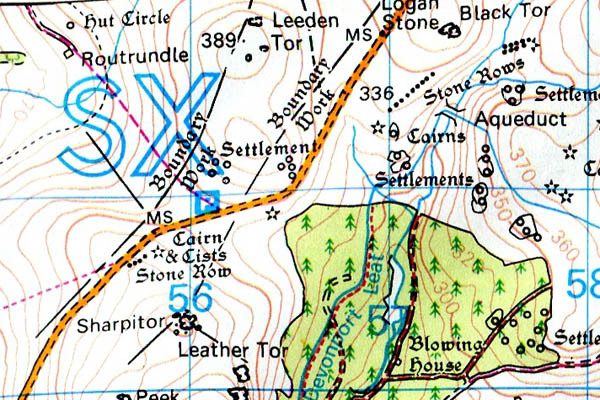 On the other hand, both halves of Shipley Tor are demarked by the OS land ranger OL28 as being inside CRoW access land. 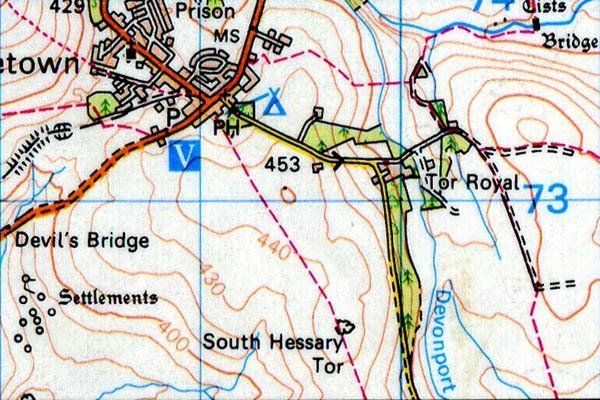 And if you consult; www.openaccess.naturalengland.org.uk with a search of Shipley, Devon the you could easily be lead to believe that Shipley Tor is entirely CRoW access land. An argument is brewing for the future, no doubt. 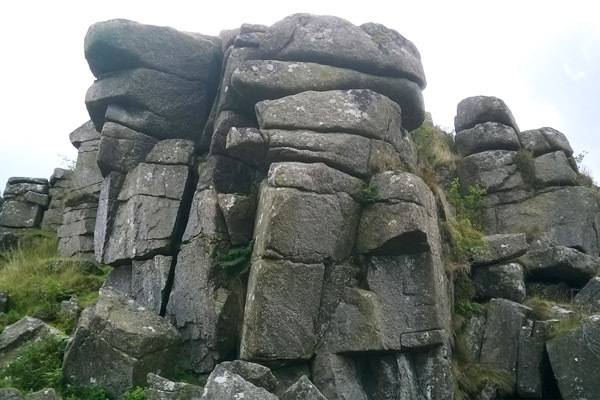 Getting to the top of Shipley Tor can be achieved by simple scramble or if you brought your climbing shoes and chalk via a handful of reasonable mid grade climbs, surely making the whole adventure worthwhile. To walk off it is best to stay high on the ridge line and set off the Gripper’s Hill, keeping well away from the bracken along the Avon valley hillside. 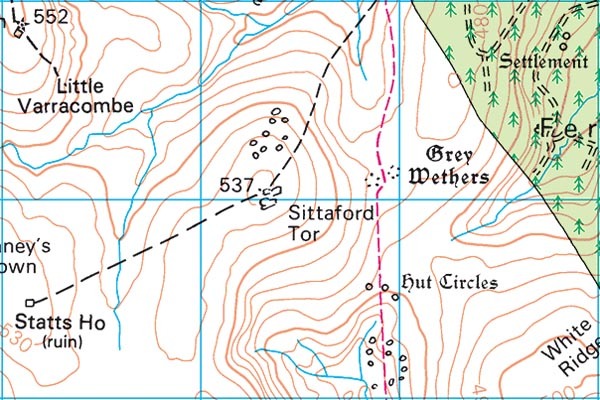 Sittaford Tor – Grid ref: SX 633830 Height: 538m a.s.l. Sourton Tors – Grid ref: SX 544898 Height: 440m a.s.l. 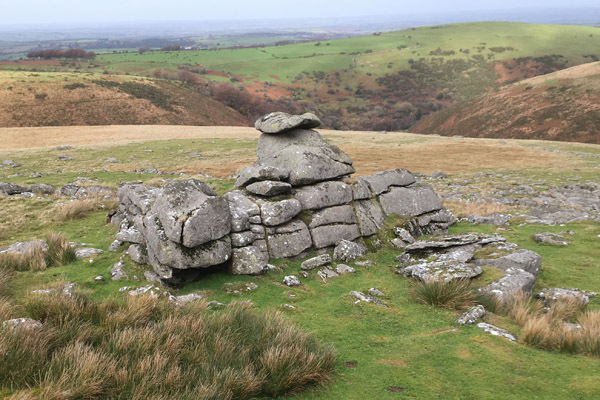 Sourton Tors have their own trigonometric survey pillar however they occupy a large area of multiple rocky outcrops tors, thus the area is known as Sourton Tors. South Hessary Tor – Grid ref: SX 597723 Height: 450m a.s.l. 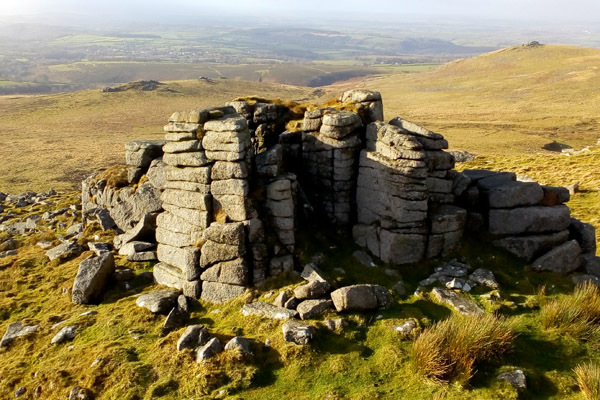 South Hessary Tor is easily visited from Princetown via bridleway. 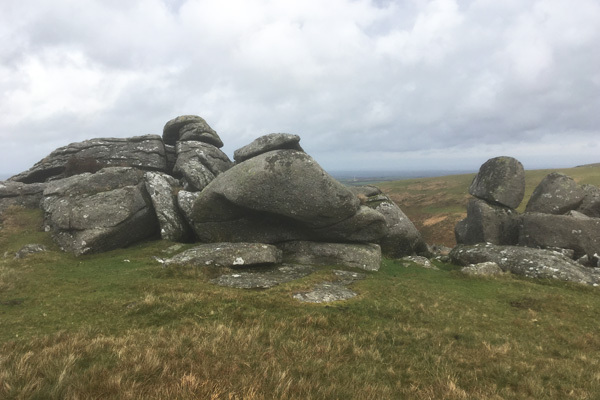 Stannon Tor – Grid ref: SX 646812 – Height 460m a.s.l. 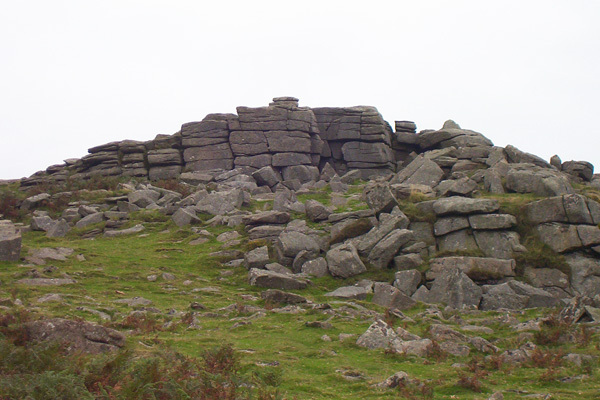 Stannon Tor is located within a large clitter/boulder field. Steeperton Tor – Grid ref: SX 618887 Height: 532m a.s.l. 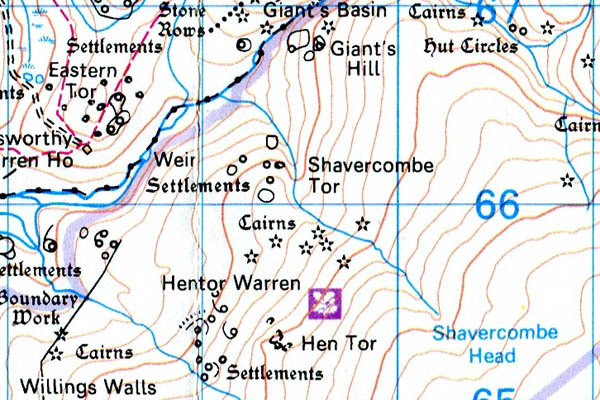 Steeperton Tors grid reference is taken at the spot height. Steng-a-Tor – Grid ref: SX 568880 Height: 530m a.s.l.